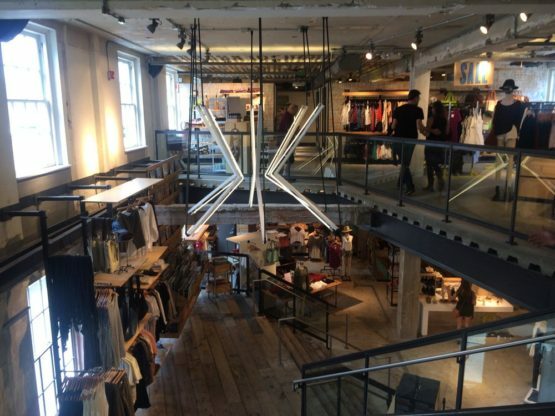 Urban Outfitters - Princeton, NJ - Blue Rock Construction, Inc. The existing Talbots building on historic Nassau Street in Princeton features the area’s first Urban Outfitters retail store. The two-story building boasts over 10,000 square feet of space and features exposed existing plaster walls with an abundance of character and amazing terra cotta ceiling structure throughout the space. Original elements of the building, such as steel, concrete and masonry, were exposed on the interior.